Please keep in prayer those who are sick. I heard these phrases from adults while joining our 4th graders and Miss O’ at the Kentmere Mass today. It was a wonderful opportunity to see our children interact with the elderly by celebrating the Eucharist together. We had a packed house for Back to School Night. Thank you for your presence. I was filled with gratitude for the opportunity to be here at St. Ann School. I am working on learning all of your names by connecting families and appreciate your patience. Below is a brief recap of what I shared in terms of practical matters on Tuesday evening. Kudos again to the group that made our new website a reality. It is sharp and uplifting. We will ensure that it is a marketing tool, and also a valuable resource for our current parents. Look for our new layout for our Weekly Memo and my note next week. For now the information can be found under the Parents tab under Principal’s letter. 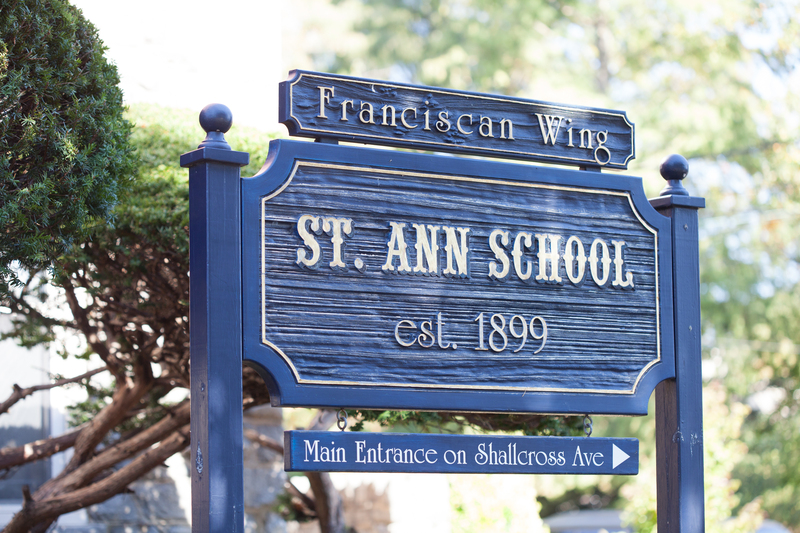 Thank you for your continued support of St. Ann School. I am always available by e-mail at stannprincipal@gmail.com, by phone and in person to be here for you. 1. Ballet: Ballet is being offered at St. Ann for the first time. This is being offered on Tuesday from 3:00 to 4:00 P.M. starting on September 29 to December 8. We still have room for 4 more students if you are still interested. 2. Tennis: Tennis starts on Monday, September 21, from 300 to 4:00. Students must bring and wear sneakers for tennis. 3. Autumn Equinox: Autumn begins on Wednesday, September 23. It is a day of balance, which means we will have the same number of hours of daylight as of darkness – equal day and equal night. Buddhists call it Higan-e. For them, the equinox is a symbol of peace, equality and harmony. 4. Family Survey Report: Last Friday Family Surveys were sent to each family. We asked that all 4 questions be answered. Twenty are being returned. Please answer question number 4 and send back to school as soon as possible. Some families have not returned their Surveys. It is essential that all Surveys be returned to complete a report due to the Diocesan Office. Thank you for your help.